Release Reminder: Air Jordan Retro VII "Cardinal"
This has been a good year for the Air Jordan Retro VII as we&apos;ve already seen the heralded JB silo release in the Bordeaux and Orion renditions. Lucky for us, the ball keeps rolling and we get another chance at the beloved Cardinal colorway. 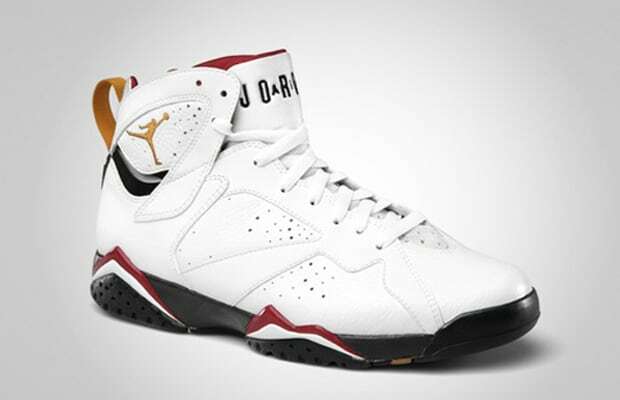 The simple white upper with hints of red, bronze, and black will be sure to get you sneaker fiends in a frenzy. Dropping tomorrow, June 18th, hit up your local sneaker spot or as always, FootLocker, to grab a pair for $150.